The biggest proponent of putting foreign aid and military reimbursements to Pakistan on a steady footing is the man President Barack Obama is leaning toward naming as secretary of state: Senator John Kerry, Democrat of Massachusetts. Mr. Kerry, the chairman of the Senate Foreign Relations Committee, has frequently served as an envoy to Pakistan, including after the killing of Osama bin Laden, and was a co-author of a law that authorized five years and about $7.5 billion of nonmilitary assistance to Pakistan. The United States also provides about $2 billion in annual security assistance, roughly half of which goes to reimburse Pakistan for conducting military operations to fight terrorism. Until now, many of these reimbursements, called coalition support funds, have been held up, in part because of disputes with Pakistan over the Bin Laden raid, the operations of the C.I.A., and its decision to block supply lines into Afghanistan last year. The $688 million payment — the first since this summer, covering food, ammunition and other expenses from June through November 2011 — has caused barely a ripple of protest since it was sent to Capitol Hill on Dec. 7. The absence of a reaction, American and Pakistani officials say, underscores how relations between the two countries have been gradually thawing since Pakistan reopened the NATO supply routes in July after an apology from the Obama administration for an errant American airstrike that killed 24 Pakistani soldiers in November 2011. Mr. Kerry’s nomination would be welcomed in Pakistan, where he is seen as perhaps the most sympathetic to Pakistani concerns of any senior lawmaker. He has nurtured relationships with top civilian and military officials, as well as the I.S.I., Pakistan’s most powerful intelligence agency. But if he becomes secretary of state, Mr. Kerry will inherit one of the hardest diplomatic tasks in South Asia: helping Pakistan find a role in steering Afghanistan toward a political agreement with the Taliban. As the United States, which tried and failed to broker such an agreement, begins to step back, Pakistan’s role is increasing. The interlude has allowed the United States to reduce the huge backlog of NATO supplies at the border — down to about 3,000 containers from 7,000 when the border crossings reopened — and to conduct dry runs for the tons of equipment that will flow out of Afghanistan to Pakistani ports when the American drawdown steps up early next year. 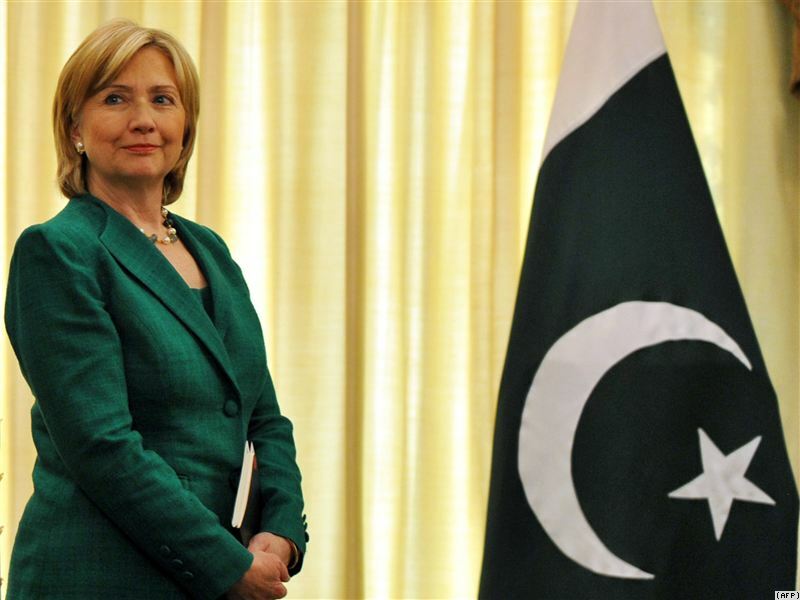 Moreover, the two sides have resumed a series of high-level meetings — capped by Secretary of State Hillary Rodham Clinton’s meeting this month with top Pakistani officials in Brussels — on a range of topics including counterterrorism, economic cooperation, energy and the security of Pakistan’s growing nuclear arsenal. The one exception to the state of calm has been a tense set of discussions about Pakistan’s nuclear arsenal. United States officials have told their Pakistani colleagues that Islamabad’s move to smaller, more portable weapons creates a greater risk that one could be stolen or diverted. A delegation of American nuclear experts was in Pakistan last week, but found that the two countries had fundamentally divergent views about whether Pakistan’s changes to its arsenal pose a danger. The greatest progress, officials say, has been in the relationship between Pakistan and Afghanistan, after years of mutual recrimination. A high-level Afghan delegation visited Pakistan in November, resulting in the release of several midlevel Taliban commanders from Pakistani jails as a sign of good will in restarting the peace process. The United States, which was quietly in the background of those meetings, approved of the release of the prisoners, but has still held back on releasing five militants from Guantánamo Bay, Cuba, a key Taliban demand. One American official said there was a “big push” to move the talks process forward during the current winter lull in fighting. The United States is quietly seeking to revive a peace channel in Qatar, which was frozen earlier this year after the Taliban refused to participate. Despite the easing of tensions in recent months, there are still plenty of sore spots in the relationship. Lt. Gen. Michael D. Barbero, who heads the Pentagon agency responsible for combating roadside bombs, known as improvised explosive devices, or I.E.D.’s, told a Senate hearing last week that Pakistan’s efforts to stem the flow of a common agricultural fertilizer, calcium ammonium nitrate, that Taliban insurgents use to make roadside bombs had fallen woefully short. “Our Pakistani partners can and must do more,” General Barbero told a Senate Foreign Relations subcommittee hearing. American officials have also all but given up on Pakistan’s carrying out a clearing operation in North Waziristan, a major militant safe haven. “Pakistan’s continued acceptance of sanctuaries for Afghan-focused insurgents and failure to interdict I.E.D. materials and components continue to undermine the security of Afghanistan and pose an enduring threat to U.S., coalition and Afghan forces,” a Pentagon report, mandated by Congress, concluded last week. Declan Walsh contributed reporting from Islamabad, Pakistan. 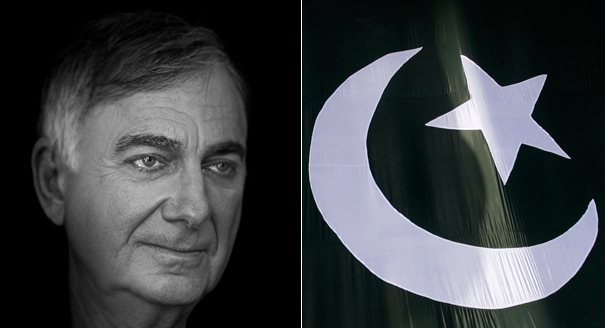 As Pakistan’s top Washington lobbyist, it’s Mark Siegel’s job to convince U.S. officials not to take out their anger on the country despite the fact that Osama bin Laden spent at least five years living in relative comfort outside Islamabad. Lawmakers from across the political spectrum wonder aloud how the world’s No. 1 terrorist could be living in plain sight unbeknownst to the Pakistanis. Siegel has to make the pitch that it’s in America’s national security interests to continue its relationship with Pakistan and to keep the billions of dollars in foreign aid flowing. It’s a message that Siegel’s firm, Locke Lord, is getting paid good money to sell; the firm brings in almost $1 million a year representing Pakistan. In addition to Siegel, the firm has about half a dozen lobbyists representing the country including Harriet Miers, an aide to former President George W. Bush and a one-time U.S. Supreme Court nominee. Siegel is uniquely positioned to make the country’s case to skeptics on the Hill. He’s been friends with Pakistani President Asif Ali Zardari’s family for almost three decades and has a direct line to Islamabad. His connection to Zardari isn’t lost on those he lobbies, like House Homeland Security Chairman Peter King, who met with Siegel on Tuesday. Pakistan, King said, must investigate and credibly explain how bin Laden was able to go undected and demonstrate that its intelligence services and military have not been penetrated by al Qaeda. But King’s not the only one critical of Pakistan these days. The Obama administration – which didn’t give its ally a heads up that Americans would be swooping into their country to take out bin Laden for fear of leaks – has been describing the relationship between the two countries with the ambiguous “it’s complicated” tag usually reserved for Facebook profiles. And Senate Armed Services Chairman Carl Levin told ABC News Thursday that he thinks high-level Pakistani intelligence knew of bin Laden’s whereabouts and he has “no doubt” the country knows the location of other top-level targets. “None of the people on the Hill are suggesting to me that anybody in the civilian government knew that Osama was there,” Siegel said, drawing a distinction between Zardari and the country’s military and intelligence branches. Tony Podesta, a lobbyist who represents Egypt, knows something of representing a vilified client that is nevertheless a U.S. military ally in an unstable part of the world. Siegel has been friends with Zardari’s family for almost three decades, having met Zardari’s late wife, Benazir Bhutto, in 1984 when a mutual friend asked him to host a dinner party for her. The two would go on to write a book together and when Bhutto became prime minister, Siegel represented her government. This week, Siegel said he has been reminding lawmakers that Pakistan has been a strong ally and that President Barack Obama and other administration officials have praised the country’s cooperation in fighting al Qaeda and terrorism. Pakistan itself has been a victim of terrorism – 30,000 civilians have been killed by terrorists in the last decade, he added. Even before this week’s killing of bin Laden, Locke Lord has been active on the Hill. In February and March, firm lobbyists accompanied the Pakistani Ambassador Husain Haqqani on meetings with House Speaker John Boehner, Senate Foreign Relations Committee Chairman John Kerry, House Armed Services Committee Chairman Buck McKeon, House Intelligence Committee Chairman Mike Rogers, and Kay Granger, chairwoman of the House appropriations subcommittee on state-foreign operations. Last year, the firm successfully lobbied for $1.5 billion in economic and social aid over the next five years — a sum that has to be reauthorized each year. The firm is also lobbying to secure foreign aid and create duty-free “reconstruction opportunity zones” inside Pakistan’s tribal lands and Afghanistan. WASHINGTON — The floods in Pakistan have upended the Obama administration’s carefully honed strategy there, confronting the United States with a vast humanitarian crisis and militant groups determined to exploit the misery, in a country that was already one of its thorniest problems. While the administration has kept its public emphasis on the relief effort, senior officials are busy assessing the longer-term strategic impact. One official said the disaster would affect virtually every aspect of the relationship between the United States and Pakistan, and could have ripple effects on the war in Afghanistan and the broader American battle against Al Qaeda. With Pakistan’s economy suffering a grievous blow, the administration could be forced to redirect parts of its $7.5 billion economic aid package for Pakistan to urgent needs like rebuilding bridges, rather than more ambitious goals like upgrading the rickety electricity grid. Beyond that, the United States will be dealing with a crippled Pakistani government and a military that, for now, has switched its focus from rooting out insurgents to plucking people from the floodwaters. 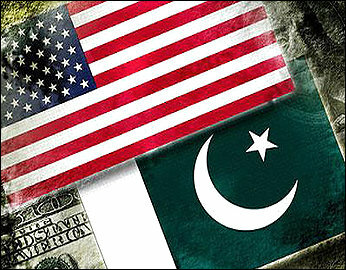 The Pakistani authorities, a senior American official said, have been “stretched to the breaking point” by the crisis. Their ragged response has fueled fears that the Taliban will make gains by stepping in to provide emergency meals and shelter. On Thursday, the United Nations will convene a special meeting devoted to the floods, hoping to galvanize what has been a lackluster global response. Secretary of State Hillary Rodham Clinton is expected to announce that American public aid has surpassed $100 million, an official said. “We’re obviously not oblivious to the political and strategic implications of this catastrophe, but right now, we are fully focused on the emergency relief effort and trying to get a good assessment of the needs,” said the administration’s special representative to the region, Richard C. Holbrooke. The disaster comes after a period in which the administration seemed to have made strides in repairing the American relationship with Pakistan. Mrs. Clinton visited Islamabad in July with a long list of pledges, including the upgrading of several power plants and a plan to promote Pakistani mangoes. Now, these projects seem almost beside the point. In recent days, the United States has sent 15 helicopters, rescuing nearly 6,000 people. On Wednesday, military cargo planes delivered 60,000 pounds of food and other relief supplies, bringing total deliveries to 717,000 pounds. The speed and scale of the effort, officials in both countries said, have helped bolster the checkered American image in Pakistan. In another hopeful sign, officials said Pakistan and India had been in close touch about the floodwaters, some of which are flowing into Pakistan from India. Such communication, between historic archenemies, could augur reduced tension in other areas, one of the officials said. Against that, however, are the staggering dimensions of the disaster. A senior Pakistani official told the administration on Tuesday that the next flood surge was likely to inundate much of Punjab, the densely populated region that borders India and produces much of Pakistan’s food. So far, this official said, the greatest damage has been in regions that are also hotbeds for Islamic insurgents, which has set back the army’s fight against extremist groups. Local governments in those places have largely collapsed, leaving the army as the only source of authority. With 20 million people displaced from their homes, the Pakistani authorities are girding themselves for an immense migration to the major cities, which they fear could sow further instability. “Americans have not yet registered the enormity of the crisis,” Pakistan’s ambassador to the United States, Husain Haqqani, said in a telephone interview from Islamabad, the capital. Pakistani and American officials said reports of hard-line Islamic charities providing relief were exaggerated. One pointed out that the floods had hurt the insurgents as well: there was a report of small arms and ammunition belonging to a militant group floating in the water. Still, people in both countries warned that if rebuilding and rehabilitation efforts bogged down, the Taliban and other militant groups would try to take advantage of it. “The real test is, can their government provide the most fundamental services?” said an administration official. Parallels to this crisis are hard to find. One official cited the example of the Indonesian province of Aceh, which had been racked by a three-decade insurgency fought by the separatist Free Aceh Movement. After the tsunami swept through in 2004, killing 170,000 people, the separatists and the Indonesian government quickly signed a peace treaty, in August 2005. There are, however, big differences between a localized separatist group and an international jihadist movement. “If the flood proves to tilt the balance of power in Pakistan, it’s more likely to tilt toward the militants than toward the government,” said Bruce Riedel, a former intelligence official who helped the administration formulate its initial policy for Pakistan and Afghanistan. Already, Pakistan’s president, Asif Ali Zardari, has been exposed to withering criticism at home for going on a trip to Europe during the early days of the flood. American officials said they were determined not to get drawn into the dispute, noting that in any event, Mr. Zardari had been stripped of many of his powers in a recent constitutional change. Decisions on how the flood will affect American economic aid may be influenced by a trip to Pakistan by Senator John Kerry, the Massachusetts Democrat who co-sponsored the five-year nonmilitary assistance package with Senator Richard G. Lugar, Republican of Indiana. Senator Kerry, accompanied by Dan Feldman, a deputy to Mr. Holbrooke, is scheduled to tour the flooded areas on Thursday. Mr. Kerry has said he is open to redirecting aid money, though some analysts said they were skeptical that Congress would approve additional financing. Military aid may also come under scrutiny, according to administration officials. Poor Americans. This is the fellow that Secretary of State Hillary Clinton has to stand beside as she tries to squeeze more juice out of a Kerry-Lugar Bill that had its lifeblood squeezed out of it last year by the Pakistani establishment, when it first became US law. The frustration from that reaction still riles the Americans. So much so that Hillary Clinton, who is a role model and an inspiration, can’t seem to let go. On every trip she reproduces a Bin Laden outburst that is militarily and strategically irrelevant for the US, but that serves as an enduring cancerous tumour for America’s public diplomacy goals in Pakistan. Still. Mrs Clinton needs to be cut some slack. Her tireless advocacy for health care around the world, and her enduring compassion for South Asians — Indians, Pakistanis, Bangladeshis, Muslims, Hindus, men, children, and most of all, women — is singularly unique among either Democrats or Republicans. The western media seems as fabulously smitten by Mrs Clinton as I am. The wires, the newspapers and the electronic media all reported Mrs Clinton’s announcement of the allocation of $500 million worth of projects as headline news, when really, it represents the fulfilment of only one-third of Kerry-Lugar-Berman’s sacred covenant with the Pakistani people. One of the most telling things about that covenant? It was signed by the US House of Representatives and the US Senate. It was, in short, a covenant between the US government and the American people, with the US government acting as a proxy for the Pakistani people. Perhaps now Pakistanis can better understand the frustration of the John Kerrys, the Hillary Clintons and the Richard Holbrookes of the earth. Top US policymakers have fought for over two years to win the Kerry-Lugar Bill. Since then, two things have kept that money from flowing into Pakistan. The first is Mr Holbrooke’s decision to dispense with the Clintonian (Bill, not Hill) model of US aid disbursement through large contracting firms that Americans often refer to as Beltway Bandits. That decision, while long overdue, was rushed and was made in the wrong country, at the wrong time. American development assistance, which is not routed solely through USAID, but often through half a dozen different US departments (or ministries), has been in desperate need of an overhaul for years. But to attempt to reform the instrument of aid delivery in Pakistan, at the climax of Obama’s war in Afghanistan, has been a disastrous decision. The American international aid community is so removed and so distant from the mainstream of western assistance thinking (spearheaded by the OECD and captured in the Paris Declaration) that it doesn’t quite know how to deal with large sums of money without the Beltway Bandits. This has meant that the Kerry-Lugar money has been parked in Washington DC, with a clear destination, but no vehicle to take it there. The second thing that has kept the Kerry-Lugar money from being spent is the government of Pakistan itself. Pakistan has no clarity whatsoever about what its development priorities are. It required the intervention of the military chief back in March to summon the federal secretaries to begin to articulate a wishlist of pet projects this government would like to see come to fruition. Indecision and the absence of any coherent development strategy within Pakistan have meant that the US government has had to try to figure out what Pakistan wants, kind of on its own. This may seem like comedy noire, but it’s really not funny at all. The problem with Pakistani government today is that it doesn’t enjoy the competent stability it once used to through the bureaucracy. Today’s Pakistan’s bureaucracy, while made up of individually brilliant officers, is a collection of inward-looking dinosaurs that cannot see beyond their GOR houses, their I-8 plots and their post-retirement benefits. Those officers, in years past, used to be the eyes and ears of oft-changing governments that would seek the guidance of senior bureaucrats in the federal ministries and at the provincial headquarters. While there’s been no discernable change in the quality of governance that democratically elected politicians can render, there has been a severe nosedive in the quality of officers available to either the federal or provincial governments. Part of the reason for the exodus of top-tier officers during the Musharraf era was the curtailment of powers of district managers, under decentralised local governments. But the decentralisation argument is a red-herring for a much more fundamental shift in Pakistani bureaucracy. While being a CSP or DMG officer was an instrument of social mobility in the 1970s or 1980s, it is now a barrier to the personal and professional growth of officers. Many of Pakistan’s brightest officers can afford to be well-paid UN, World Bank and IMF staffers. Many others can do even better at Wall Street and on Madison Avenue. Still others can be brilliant academics. Across the board, since 1999 we have seen exactly this. An exodus of top-shelf talent that might have been able to deal with rents, with incompetence, and with the heat, but not with the disrespect that the military and political class have for educated Pakistanis in the employ of the government of Pakistan. So how does all this relate to Mrs Clinton’s troubles in Pakistan? Simple. No matter how democratically legitimate, when the blind lead the blind, there is a problem of vision. Pakistani politicians are so disconnected from any kind of global narrative that it will be a generation before we produce a Chidambaram, a Krishna or a Mukherjee that can win elections without the help of their gaddi (see: Shah Mehmood Qureshi), or the kindness of the Arbab Ghulam Rahims of the world (see: Shaukat Aziz). The nauseating outburst of the foreign minister on Friday was a demonstration that winning an election does not enable you to win an argument. In short, Pakistan’s current political class cannot muster politically legitimate actors that are also competent at statecraft. Enter the advisory class. This is where the Husain Haqqanis, the Shaukat Tarins and the Dr Hafeez Shaikhs enter the fray. No fake degrees here. Only pedigree. Their problem is of an entirely different nature. They don’t have any stake in Pakistani politics — they enter as unknowns at the thaana kuthchehri and galli-mohalla level, and they leave as unknowns at the thaana kuthchehri and galli-mohalla level. They can talk about all the right kinds of reform, but they can’t deliver. More worryingly, their reform-speak is often deluded, because it is devoid of any political rigour. “Let’s clip military powers by marketing bold ideas in Washington DC, instead of Rawalpindi.” Well. We’ve seen how that has turned out. “Let’s raise taxes!” Sure. Because nobody else has ever thought of that! “Let’s improve education.” Sure. Because it takes genius to figure out that education is a problem. Advice that is anchored in Rubinomics and Bretton Woods theology has been failing Pakistan for the entire duration of Pakistan’s lifetime. This should hardly be a surprise. It never works anywhere. And that is why Shah Mehmood Qureshi is wrong, again. Perceptions won’t change. $500 million worth of pet projects is a supremely sweet gesture. But even $500 billion worth of aid, delivered through Beltway Bandits, NGOs, budget support or otherwise can’t change the lives of Pakistanis. Only organic reform can achieve such noble goals. When the strategic dialogue in October picks up where this one leaves, Pakistan will still have no CT strategy, no development strategy, an inflated defence budget, no civil service reform, and no hate-speech legislation. All the money in the world can’t change that. And that’s not Hillary Clinton’s fault. That one’s on us.